145,298 Reasons to Attend the National Convention! Are the 145,298 reasons in the blog post title above referencing . . . a dollar amount, perhaps? But of course! They represent the amount of placement fees two Network recruiters would not have made otherwise. And yes, those two recruiters met at a Top Echelon event. The recruiters in question? Maria Hemminger of MJ Recruiters and Dave Sgro, CPC of True North Consultants, Inc.! Although we’ve chronicled their story before in the pages of The Pinnacle Newsletter Blog, we thought it appropriate to mention them again. Maria and Dave met one another for the first time at the Top Echelon Network Fall Conferences in 2009. They decided to partner with one another. What did that look like? Well, Maria and her business partner Joanna Spaun specialize in placing Manufacturing professionals. Dave, on the other hand, specializes in placing Information Technology professionals. So starting in 2010, MJ Recruiters started filling their job orders with IT candidates supplied by True North Consultants. Genius! Without using Dave’s candidates, Maria and Jo would not have been able to fill their clients’ IT job orders. In fact, they probably would not have worked them in the first place. So . . . since the fall of 2009, MJ Recruiters and True North Consultants have made 18 split placements together. Those placements have yielded $145,298 in placement fees—apiece! 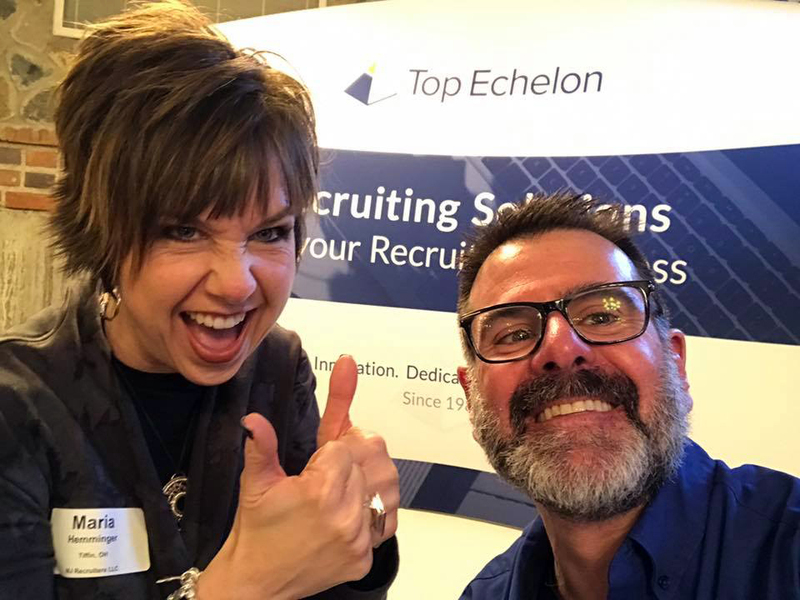 We’re talking about $145,298 that these two recruiters would not have made if they had NOT met each other at the Top Echelon Network Fall Conference in 2009. There could be money waiting for you at the National Convention. Just like there was money waiting for Maria and Jo and Dave at the 2009 Fall Conference. So that is why there’s 145,298 reasons to attend the convention. In fact, there could be even more reasons than that, depending upon how many trading partner relationships you build and split placements you make. After all, MJ Recruiters and True North Consultants are closing three more deals this month! They are iron-clad proof that investing in your Network membership and your split partners pays off time and time and time again. The recruiters in these firms are true TE rockstars. Early Bird Registration for the convention ends on Friday, February 17! Don’t wait and don’t hesitate! Sign up in the Members’ Area with a credit card and make plans to join us in Orlando.